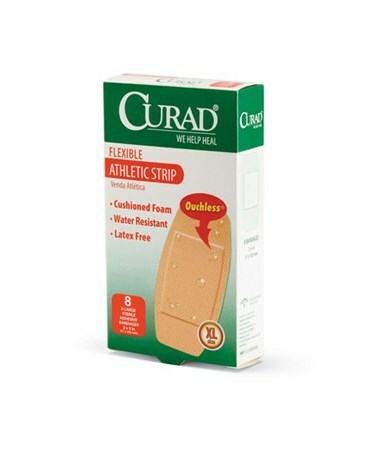 Curad's Athletic Foam Bandages help to keep wounds protected from germs and dirt by sealing on all four sides. The absorbent non-stick pad is "ouchless" to remove and the cushioning foam stretches with your skin. 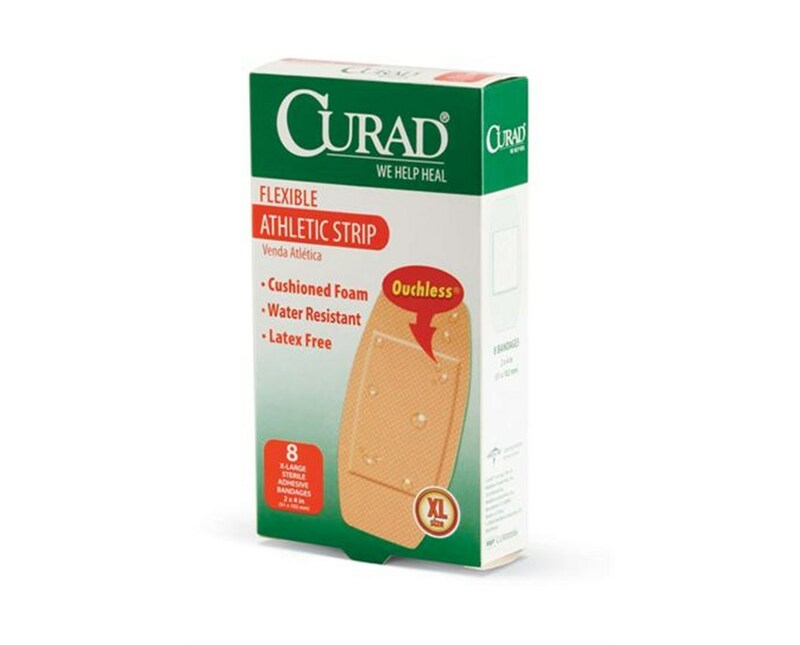 Innovative latex-free adhesive stays on long without irritating the skin, and the bandage holds up to perspiration.